You've been to Bali before. Maybe not literally, but you've surely daydreamed about an island paradise. You can imagine white-sand beaches that glisten in the sun; sapphire waters with curious fish darting in and out of coral reefs; and verdant terraced rice paddies that climb up slopes. 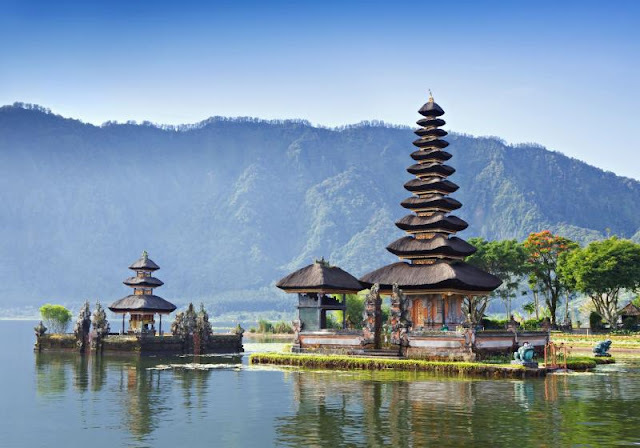 Well, that's Bali – an island where the exotic and beautiful are one and the same. There was a time when flights to Asia were too expensive, and Bali was just a daydream – but that’s no longer the case. So many carriers are flying there, and you can find great deals if you book your flight well in advance. Looking to April, the beginning of Bali’s dry-weather season, round-trip airfare from 12 major U.S. cities costs less than $800 if you book now! To top it off, Bali is more than affordable for Americans, and the value for your money is quite high. You can buy freshly squeezed fruit juice for less than a dollar, rent a motorbike for about $5 a day and take a surfing lesson for as little as $25. It’s easy – and inexpensive – to fill up a couple weeks of vacation on this expansive Indonesian island. Tijili Hotel Seminyak, a boutique hotel in Bali. Click the image to view rates. Bali lies within the Coral Triangle, an area of rich marine biodiversity that attracts underwater enthusiasts. There are plenty of shallow reefs for snorkelers to explore, and dive sites are well suited for beginners through advanced divers. Right off the shore of Tulamben, in northeastern Bali, is the USAT Liberty shipwreck from 1963, which is a popular site for both snorkelers and divers. After exploring underwater treasures, you can enjoy black-sand beaches in the nearby village of Amed. If you do want to lounge on the beach for a while, you have an island worth of options. 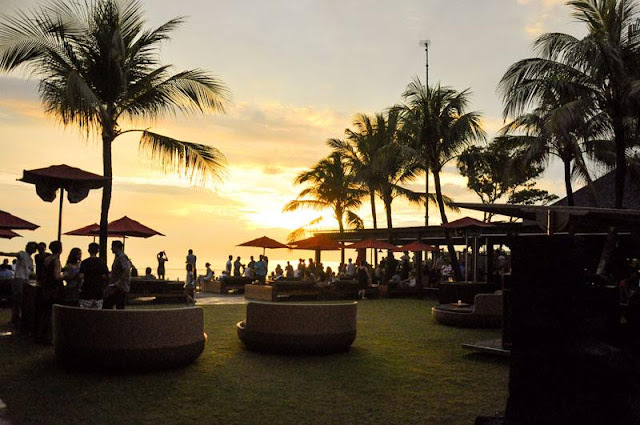 In south Bali, just a 15-minute taxi ride north of Denpasar International Airport, is the wildly popular beach resort town of Kuta. It beckons those who want to shop, bar hop, learn to surf or lounge on the beach. 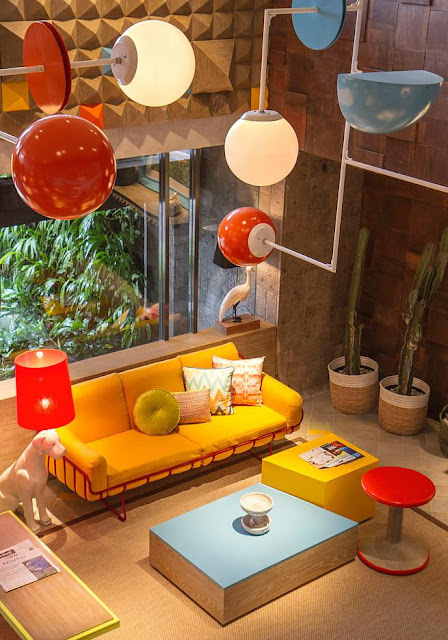 The neighboring town of Legian has a similar but more relaxed vibe, while Seminyak to the north caters to the upscale, fashion-conscious crowd with luxury accommodations and high-end shops and restaurants. Similarly, 5-star resorts can be found at Nusa Dua Beach, southeast of the airport. A half hour drive north of Nusa Dua is the town of Sanur. The beach here stretches for about 3 miles and offers a low-key, family-friendly experience. An offshore reef means calmer waters hitting the shoreline, making it an ideal beach for kids. Bali is known for its beaches, but it also offers incredible outdoor adventure options. For one, you can go to north Bali to trek through the jungle. Along the way, you’ll see rice terraces, waterfalls, temples and spice and produce plantations. The picturesque, lush green rice terraces that Bali is known for are in Jatiluwih and Tegallalang. The Jatiluwih rice terraces are less visited by tourists due to their remote location. At the terraces in Tegallalang, you'll want to arrive early or much later in the day to avoid the crowds. There are also cafes at the top of its slopes where artists who want to draw or paint can spend the afternoon. For a physically challenging but worthwhile experience, hire a guide or join a tour to catch sunrise from the top of an active volcano. Hiking to the top of Mount Batur at 5,633 feet will take approximately 4 hours round-trip. Or for a more physically demanding climb, you can ascend Mount Agung, Bali’s holiest mountain and highest peak at 9,994 feet. Depending on your starting point, it can take 3-7 hours to reach the summit. Click the image above to find flights to Indonesia. Pura Besakih: The largest and holiest Hindu temple complex in Bali, located on the slopes of Mount Agung. Sacred Monkey Forest Sanctuary: An Ubud nature reserve with three Hindu temples and hundreds of long-tailed Balinese macaques. Goa Gajah (Elephant Cave): This archaeological site outside of Ubud dates back 1,000 years and is known for its rock-wall carvings. Gunung Kawi: This 11th-century temple and funerary complex contains rock-cut shrines and is northeast of Ubud. Pura Tanah Lot: A coastal pilgrimage temple that sits atop a rock formation in west Bali. Pura Luhur Uluwatu: A seaside temple on the edge of a steep cliff in southern Bali. As cliché as it may sound, Bali really does offer something for everyone. That’s what makes this Indonesian island a popular vacation destination among a wide range of visitors. All told, it's easy to see why more and more people are packing their bags for Bali.